In February, The Virginia Museum of Fine Arts opened a new exhibition, The Rachel Lambert Mellon Collection of Jean Schlumberger. 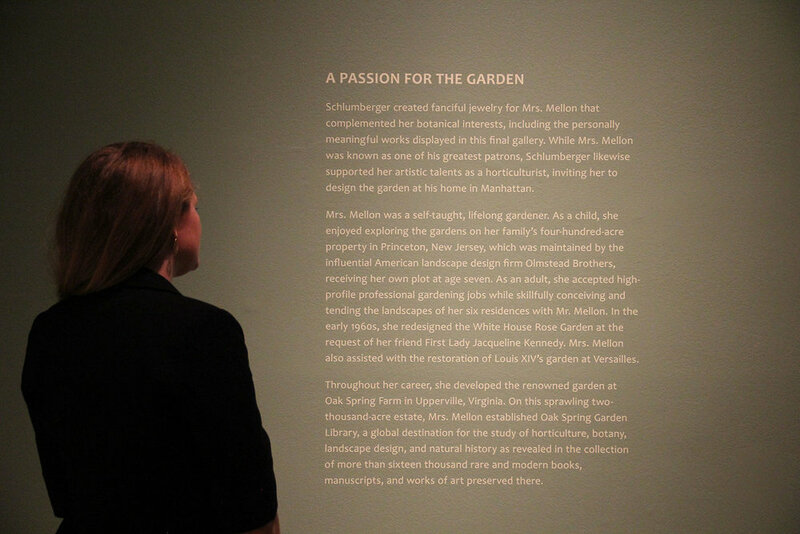 Mellon -- and avid horticulturalist -- and Schlumberger -- a renowned jewler-designer -- both took inspiration from nature, and grew to have a close friendship. Click through the slideshow below to see photos from the exhibition's opening. You can also read more about the VMFA exhibition here. Bunny Mellon's appreciation for Schlumberger's aesthetic went beyond jewelry design. She commissioned him to design a floral bouquet finial atop her display greenhouse at Oak Spring -- a prominent focal point of her estate. Mark Aronson, Chief Conservator at the Yale Center for British Art, visited Oak Spring in February and observed the finial up close. He found the sculpture to be in rough shape, with conspicuous corrosion over the entire piece, which is always exposed to the wind and weather. Parts have fallen off over the decades. Some of these are preserved in the library, and others have been reaffixed with gardening bailing wire. One of the metal flowers, having "fallen" from the bouquet onto the greenhouse roof, is actually bolted to the shingles as an intentional feature of the design. 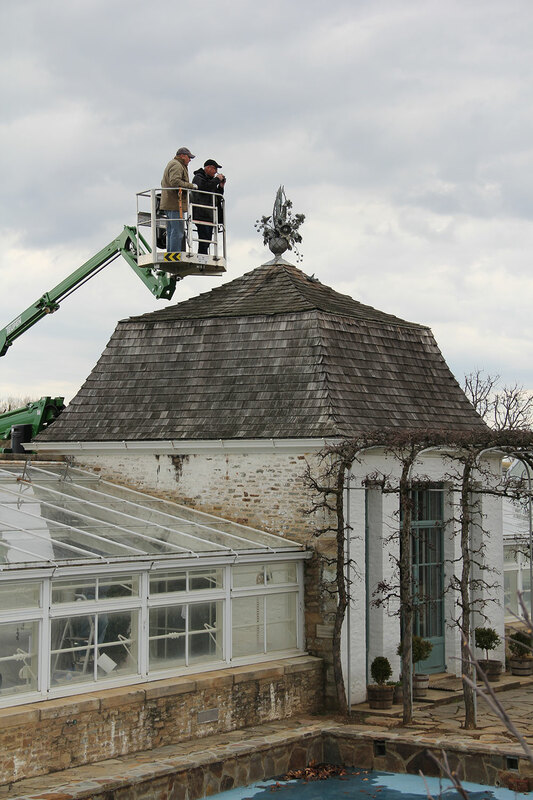 Conserving the "perfect imperfection" of Bunny Mellon's Schlumberger finial will be a major project, but an important step in honoring and preserving the legacy of a friendship inspired by nature.